An estimated 3 million bottles of NITRAFLEX have been sold worldwide in the past 5 years. What makes this pre-training formula so popular with everyone from physique champions like IFBB Pro Sadik Hadzovic to everyday gym goers? The answer: Every time you use NITRAFLEX, you can count on it to help you achieve insane workouts. Achieving more during your workouts -lifting heavier weight, performing more sets and reps, achieving bigger pumps-is the secret to building your ideal physique as quickly as possible. NITRAFLEX can help you do it. 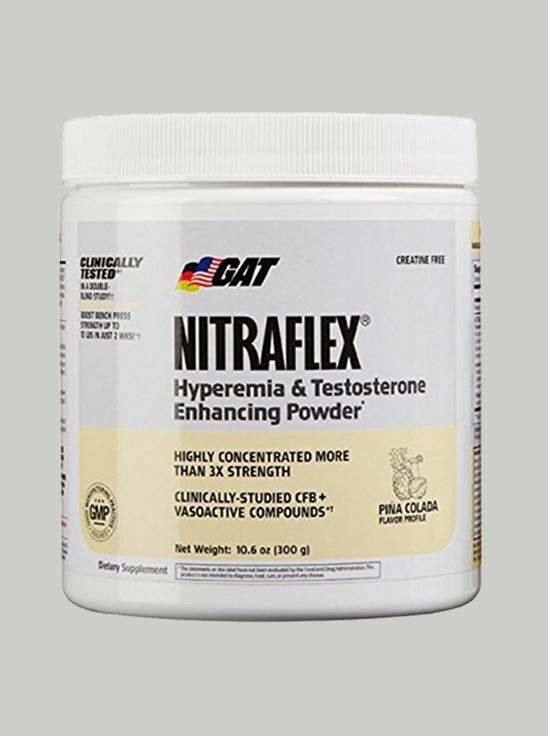 NITRAFLEX contains a balanced blend of nutraceuticals that help you achieve greater energy, strength, stamina, and pumps during workouts, support healthy testosterone levels afterward. Clinically Tested GAT believes in NITRAFLEX so much that they put it to the test in an open-label pilot clinical study involving experienced subjects. The subjects had been lifting weights for 3-10 years. After taking NITRAFLEX for 2 weeks, subjects increased their maximum bench press strength by 5-10 lbs. * Quite impressive for experienced lifters. 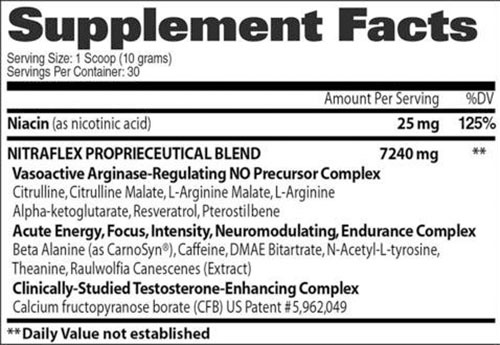 NITRAFLEX also promoted increases in muscular endurance, training volume (more sets x reps), and resting testosterone levels.